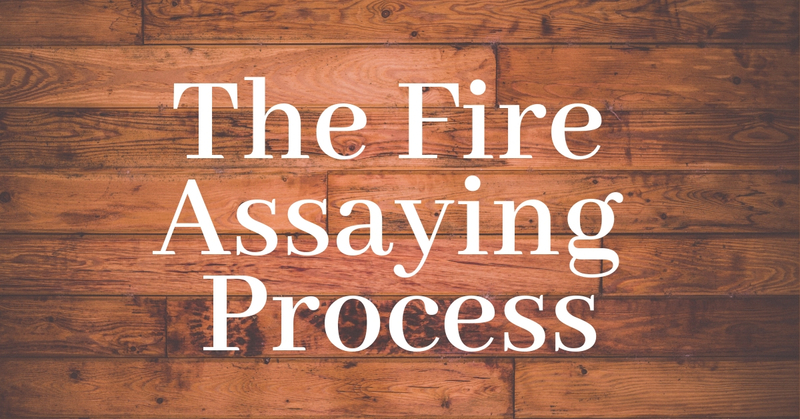 The fire assay method is used to determine the precious metal content of a mining sample and has been in use for thousands of years. Assaying is the process of determining the quantity of any particular metal in an ore or alloy, especially the determination of the quantity of gold or silver. Initially, the sample must be reduced to a powder in order to be tested. The powder is referred to as “pulp” and the scales to weigh it are called “pulp scales”. The assayer begins by running the sample through a crusher. After the initial crushing, the sample is put into a “buck board” for further pulverization under a muller that rubs the material into a finer state with a sliding motion. Harder samples are made finer using a device called a “rocker” that uses a heavier weight upon the sample being pulverized. Assayers doing a smaller volume of work might use an iron mortar and pestle, although it requires considerably more effort. 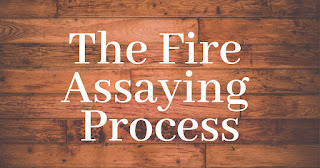 As this process unfolds, the assayer divides the sample into smaller and smaller portions until the correct sample size is achieved. After pulverization, the sample must be run through sieves of appropriate size. Any material that doesn’t pass through must be further ground down until the entire sample will pass through the sieve. The resulting material must be carefully mixed and then stored in a container. The contents should not be shaken as this could cause the materials to begin stratifying according to their masses and it could upset the accuracy of the process. Selected portions of the sample are placed into a scorifier, a dish that can sustain the heat of the assayer’s oven. Along with a sample of litharge (a form of lead), various chemicals are included that will help in allowing the metals to separate from the slag. The mixture is roasted in the assayer’s oven until the melted slag completely covers the lead bead that forms in the scorifier. The sample is then poured into a cone-shaped mold, allowing the metal to form at the apex and the slag at the bottom. The metal part, or lead button, is detached from the slag and hammered into a cube with no sharp corners. The button is then melted again in a cupel, which is made of a material called bone ash. During this process, lead and other impurities are both oxidized and driven into the material of the cupel itself. A good cupel is capable of absorbing its own weight in litharge. The metal in the cupel melts, becomes smaller, and forms into a bead. The composition of this bead should be gold and silver. This bead is weighed. The next step is called “parting”. The bead is flattened, placed in a porcelain capsule and treated with a solution of water and nitric acid. Once the reaction begins, the capsule is warmed. Silver in the bead forms a solution of silver nitrate that is carefully washed away until only gold, if any, remains. This is gently dried in the capsule and removed. The final sample of gold is weighed, unless it’s too small, in which case it is described as a “trace” or “color”. From the weight of this bead, the assayer will calculate the gold and silver ore value per ton of ore. 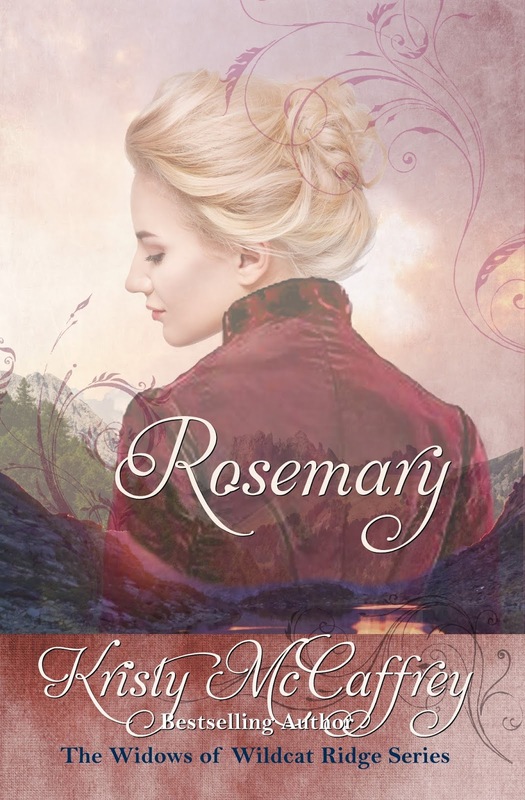 In ROSEMARY, Book 11 of the Widows of Wildcat Ridge Series, Rosemary is determined to keep the assay office open after the death of her husband, along with most of the men in town, in a mining accident. Rosemary Brennan struggles with grief along with the other widows of Wildcat Ridge after a devastating mine accident takes the life of her husband, Jack, and many others. Forced to find a new husband or be evicted from her home by the unscrupulous mine owner, Mortimer Crane, Rosemary finds unexpected help from Jack’s friend, Miles McGinty, an ex-U.S. Deputy Marshal. Together, they’ll uncover Crane’s deceit that involved her first husband. 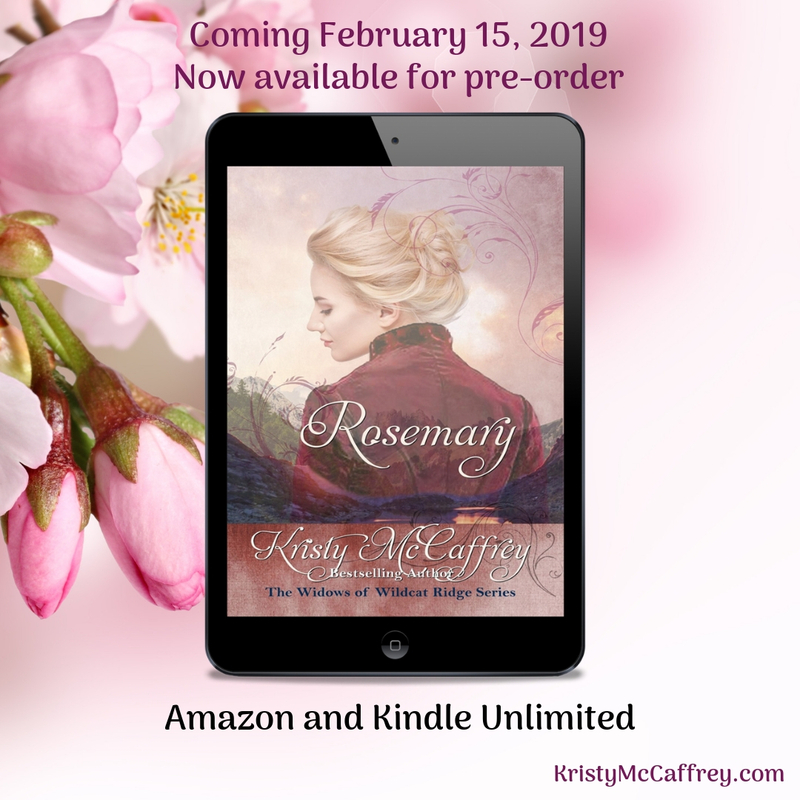 But McGinty knows more than he’s saying, and Rosemary isn’t certain she can trust another man so soon after losing Jack. More importantly, does she dare open her heart to him? In the following excerpt, Rosemary has gone into the hills in search of an old Spanish mine called The Floriana but has become lost. She stumbles across the path of two unsavory prospectors, Hector and Alvin. It’s here that she meets our hero, McGinty. Two men rolled in the dirt, locked together like battling bull elk. Another horse stood vigil, minus its rider, who must be the man currently fighting Hector on her behalf. For a split second, she thought it might have been Priscilla’s husband, Braxton, but the man grunting and, unfortunately, losing ground to the likes of Hector, was a stranger to her. Friend or foe, she couldn’t let Hector win. “Freeze or I’ll shoot,” she said loudly. Both men stopped and looked at her. “Who are you?” she demanded of the stranger. “McGinty,” he wheezed past the chokehold Hector had on him. Hector chuckled and gripped his arm tighter around McGinty’s neck. The stranger’s face was starting to turn purple. Rosemary cocked the gun and closed her right eye to line up the sight with her left the way she had practiced with Jack. Without hesitation she fired, the kick from the weapon knocking her backwards with a scream. As she scrambled to her feet, Hector was howling, but Mr. McGinty had managed to free himself. Alvin ran toward them with a lopsided gait, huffing and sweating. He might be young, but he acted like an old man. Mr. McGinty grabbed a shotgun from his horse and aimed the firearm at the two prospectors. “She shot me!” Hector wailed. Rosemary remained where she was, a terrible trembling overcoming her. Good Lord, I did shoot him. Mr. McGinty looked at her and the full brunt of his attention stilled her breath. Before she turned purple herself, she gulped air into her lungs. He was tall and strong and … how on earth did the likes of Hector best this man? 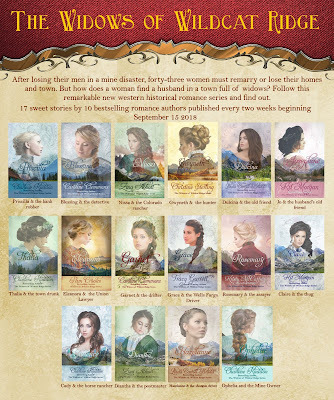 Visit the series page here. Oh, my goodness, Kristy! I was never very good at chemistry, and assaying sounds much too complicated for me. But they've been doing this for 1,000 years?? That's amazing! Much luck on your upcoming release, ROSEMARY! It's going to be great, and one of the best parts of being in a series like WIDOWS OF WILDCAT RIDGE is getting to know and work with sweet people like you. 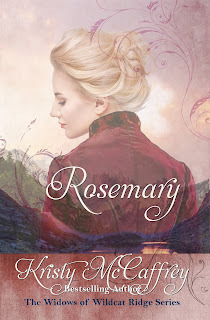 Rosemary is such a gorgeous story and the writing is wonderful. I know you'll make a lot of sales. The information on mining was interesting and educational. Thank you! It's been great fun working with all you wonderful ladies. It's always fun to dig up the historical facts for a story. I've so enjoyed working with you on this series!